The eatSouthBank brand is one that is very close to our hearts. We were responsible for its conception in 2015 and have helped it grow into the mature goddess it is today. eatSouthBank has always been a fantastic resource to uncover the deliciousness of Brisbane’s favourite food hub, and has now received a recent upgrade with the addition of this beautifully designed, intuitive, interactive map. 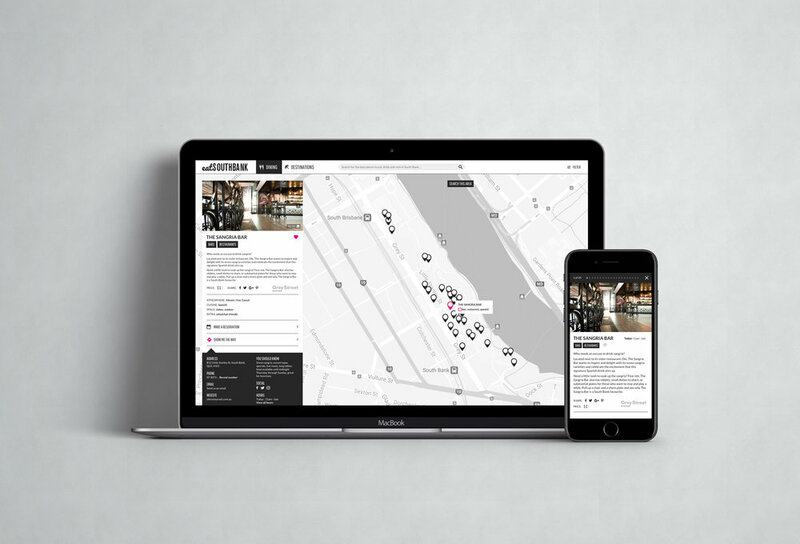 This mobile and desktop integrated service is designed to help users explore everything the South Bank precinct has to offer right at their fingertips. A location enabled application that identifies your position through google maps, helping to discover what’s available and how to get there. You can check it out for yourself here.